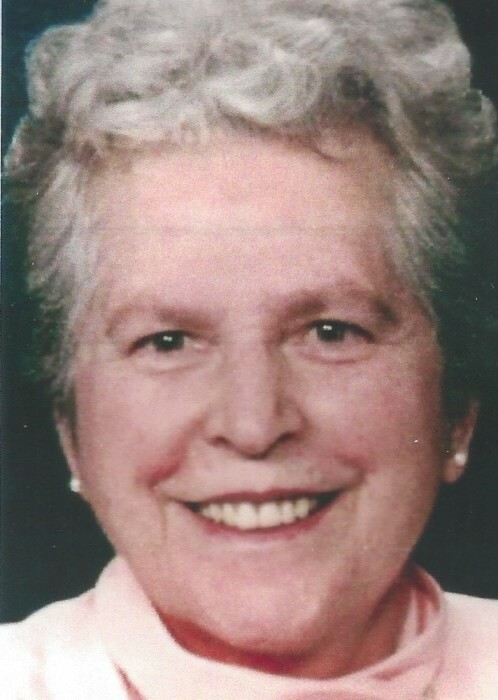 SPRINGFIELD- Cecile B. Larochelle passed away on February 2, 2019 surrounded by her loving family. She was born in St. Aurelie, Canada on February 17, 1931. She was predeceased by her husband, Camillien Larochelle, her parents: Wilfrid and Armoza Belanger, her brothers: Gerard and his wife Candide, Lucien, Vilmond and Emmanuel, her two sisters: Germaine Girard and her husband Paul and Jeanne d’Arc Grondin and her husband Bertrand as well as one great-grandson, Francois Heafield. She leaves behind her brother Andre Belanger and his wife Carmelle and her sisters-in-law, Florence Belanger, Marie Belanger and Denise Belanger. Her children: Lucie Boulrice and her husband David, Sylvie Jacques widow of Claude Jacques, Gervais Larochelle and his wife Virginia, Serge Larochelle and his wife Lucinda, Marguerite Boudreau and her husband Raymond and Jean Pierre Larochelle. She leaves 27 grandchildren and 21 great-grandchildren as well as many nieces and nephews. She was a member of the Pilgrims of Saint Michael for over 50 years. The family thanks Trinity Health and Hospice Care for their assistance during her illness. Calling hours will be held on Monday, February 4, 2019 from 4-7PM at Brunelle Funeral Home, 811 Chicopee St., Chicopee, MA. Her funeral will begin at 9:45AM on Tuesday, February 5, 2019 from Brunelle’s with a Liturgy of Christian Burial at 11 AM in Immaculate Conception Church, 54 N Summer St., Holyoke. The Rite of Committal and Burial will follow in Notre Dame Cemetery, South Hadley. For more information please visit www.brunellefuneralhome.com.